All of us have idiosyncratic internal maps of the world, a lattice of longitudes and latitudes drawn from our likes, dislikes, goofy little habits and whatever ex-friends we’re trying to avoid. We travel our same routes, choose our favorite meals, listen to the best music. And we know it’s the best music, because, well, we like it. Stuck as we are in our personal topography, it’s sometimes hard to shake up our experiences. After all, our bubble is a comfy one. We know the layout, even if the layout is straight out of House Beautiful circa 1986. Everything in my version of reality corresponds to my not-very-accurate Katie Map. If the grocery store is out of Ciao Bella Malted Milk Ball Gelato, well then, that’s it – there’s no ice cream to be had anywhere in the land. That is, until Malted Milk Ball Gelato mysteriously reappears in my local freezer section. My tunnel vision extends to television. I’ve heard tell of whole villages making merry over Project Runway and American Idol. I know these shows exist, but they’re invisible to me. In my own personal hamlet, my TV’s sole purpose is to broadcast True Blood and So You Think You Can Dance. As well as the great BBC 80s flashback series, Ashes to Ashes, which moved me to tears by the sheer nostalgic force of Ultravox Vienna in the soundtrack. It’s the same story at the perfume counter: a few beloved friends and favorites (Bulgari Jasmin Noir eau de parfum, Agent Provocateur, Gucci Rush), standing head and shoulders over a bunch of anonymous blah blah (the Givenchy Irresistibles, the Burberrys, all 17 Bulgari Omnis, whatever the hell they are). And I really do stop and smell the blah blah, to at least hear them out. But as I try my darnedest to tell the difference between the new Juicy Couture “Couture Couture” and the new Marc Jacobs “Lola”, I wade dangerously into the uncharted, “Here Be Monsters” territory of my fragrance map. The fancy-pants niche bunch is not spared my Swiss cheese-like focus, either. Particularly at risk are lines with a cast of thousands, like Serge Lutens’. Remembering what’s in Lutens’ is like trying to name U.S. state capitals: I get through a few before I hit a wall. Ambre Sultan, New York City, Baton Rouge, Chypre Rouge...and New York City isn’t even right. So when one of my YouTube viewers wrote to extol the special charms of Lutens’ Chergui, I was all, “Cher-what?” I got my crayons out and prepared to color in a little more of the Katie Map. 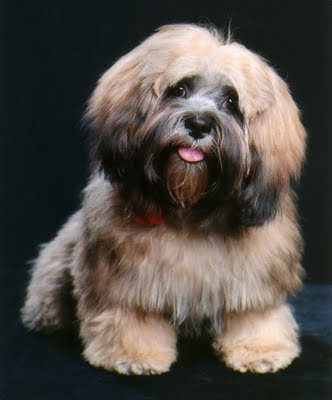 The smell of Chergui is warm, thick and furry, like Michael McDonald’s singing voice - or Fozzie Bear’s speaking voice -- or my favorite Lhasa Apso Rodrigo’s entire body. This eau de parfum is an unusual combination of smells from different planets in the “let’s get cozy” universe. There’s hay and honey, the faint niff of cherry pipe tobacco, a slight bite of incense. There’s a rocks-in-the-ground iris that tamps down the sweetness with its granite earthiness. And there’s a milky sandalwood haze that hangs around the whole gig. By the time I’d finished processing Chergui’s friction between spicy and dusty, edible and smokable, masculine and feminine, I’d expanded my warped map of the world. Maybe I should give Project Runway a chance while I’m at it. As ever, a thought provoking and soul baring glimpse into the topography of a scent-sniffing woman, namely you. As I apply your map to my own perfume world, I wonder how much of my scent wearing is really the same old notes dressed up in different bottles. Is this wrong? As I ponder, I think about those notes that wrinkle my nose (and not in a good way) and cause my face to contort in a vain effort to ward off the offensive odor away from my nose. I try to avoid certain notes without really knowing the ones that offend. But as time goes on I realize that there are certain fragrances I like, namely those with light florals and perhaps a hint of musk. And I am embracing and even accepting and owning the knowledge that these are my own roadmaps that identify me as, well, me. Ahh! As far as those TV shows go, that is a whole different map! Re "same old notes dressed up in different bottles", Pino, that'll be me with my ten different incense perfumes. Or my ten different pair of "new wave rides again" ankle booties. Or my 10 different but pretty much the same coral lip glosses. Ah, the search for self-definition through adornment! Not only does misery love company, or so they say, but more to the point, our 10 of (or 12 of or 15 of or, ok, 45 of)whatever floats our boat at the mo', loves company. So we buy what we like, promising to buy something (a little) different next time. Speaking of which, you can't imagine how many nail colors and lipsticks I buy knowing I have finally bought THE right shade and getting it home and setting it next to 2 or 3 of the EXACT same shade. Well, at least I know what I like! So I stick with my florals and sometimes add a new note or two. I am enjoying a sample of Stella Light as well as Stella, and also Marc Jacob and Romance by Ralph Lauren (I think?). I still search for the replacement for my all time fave, Flora Danica, which has long been discontinued. It was the smell that made grown men swoon and proper ladies envious of my demure yet seductive aura. I also use my T.V. only for watching True Blood and SYTYCD. I think we are separated at birth. So I will have to give Chergui another chance and see if I can smell past the soapiness because your description of what you smell sounds amazing. OMG Krista, Vampire Eric was so NAUGHTY to trick Sookie like that! And now Sookie has the "problem" of her hot vampire love triangle...oh, what? I'm supposed to be talking about perfume? Well, okay....back to Chergui. With the olfactory memory of Mr. Bubble lodged in your mind, I'm not sure you're going to be able to dig Chergui the way I'm digging it. And frankly, I'm afraid to smell Mr. Bubble (is it even still available?) in case I ruin Chergui for myself. Pino, Flora Danica often pops up on the perfume boards as a long-lost and pined-for fragrance. I'm sure you already know that vintage bottles are still available on eBay, for a bunch o' dough. Eric > Bill!! And I'll give it a few months before I try Chergui again. Right now Fumerie Turque > Chergui for me. Krista, I think your vampire and perfume math checks out. I see where you're coming from. I didn't like Eric at first, but now, purrrrrOW. And Fumerie Turque is a nicely butched-up Chergui.